Visiting Birds of A Feather two years after it first opened reveals a lot of growth on Chef Eugene See’s part. Previously, the restaurant’s use of Sichuan flavors was punchy and pronounced, perhaps even a little too literal. But with the revamped menu, the distinct spicy and tongue-numbing flavors are nuanced, easing their way into East-meets-West dishes in a more natural way. 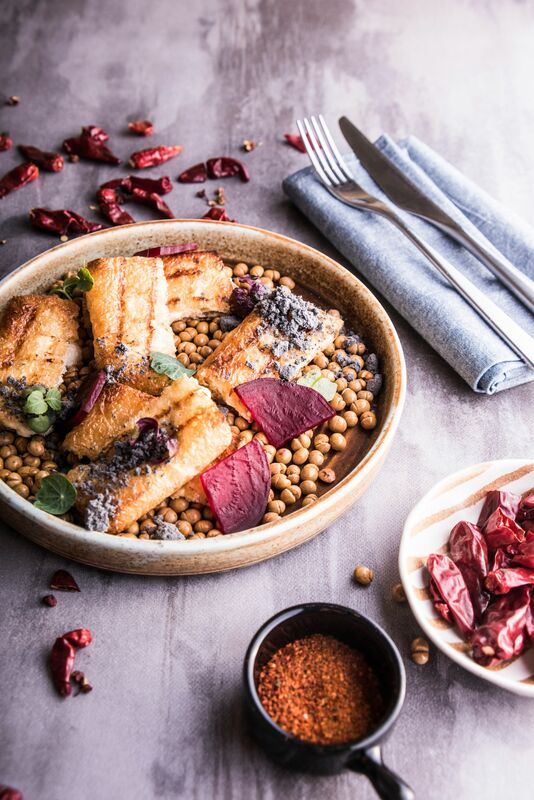 There is a lot to love in the new menu, starting with the Baked Eggplant, a moreish dish that uses yuxiang-seasoned grilled Japanese eggplant with mozzarella. The accompanying side of fried mantou is perfect for mopping up the tasty sauce. 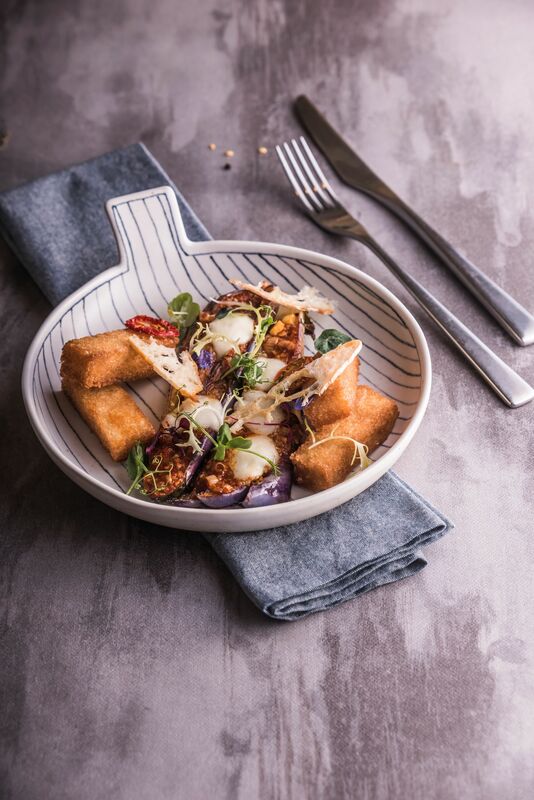 If you’re not a fan of the infamous Taiwanese stinky tofu, you’ll love Birds of a Feather’s less pungent version – aburaage tofu piper stuffed with a mix of vieux lille cheese and silken tofu. 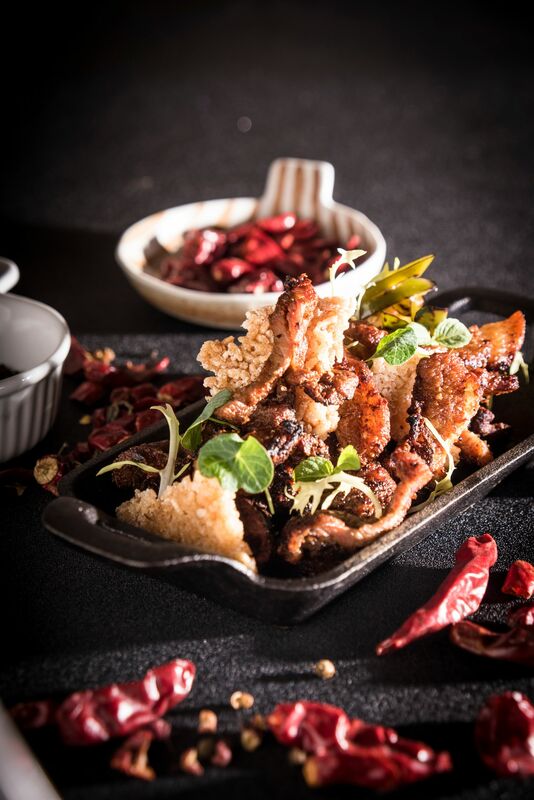 The Charcoal Grilled Pork Bits is a crowd pleaser too, with layers of addictive flavors that come from a marinade of cumin, garlic, and chili, which is then deep fried, and finally, grilled. 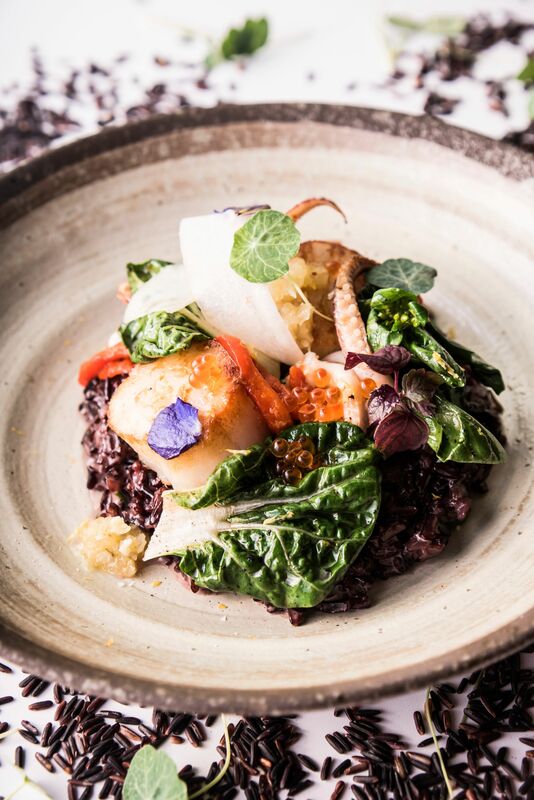 Finally, the Forbidden Risotto makes more sense in your mouth than on paper – black rice, parmesan cheese, cream, butter, assorted seafood, pickled ginger, sour vegetables and soya sauce dressing. It seems daunting at first, but trust us when we say it is a delightful mix of savory flavors that’s pleasant, and not at all confusing. 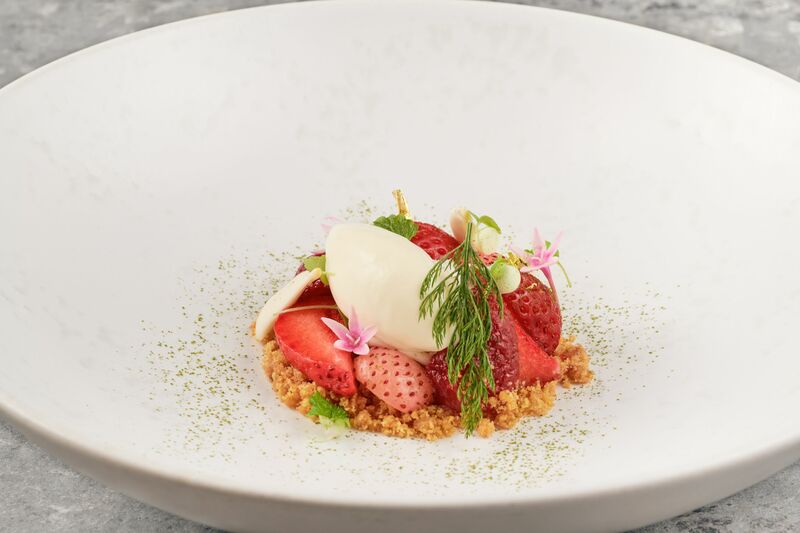 Chef Kirk Westaway is steering JAAN into a direction that he’s more than familiar with, as he channels his deeply rooted passion for natural flavors reminiscent of his English childhood. By showcasing British dishes and flavors in a modern, refreshing manner, Chef Westaway proudly presents the “Reinventing British” menu. 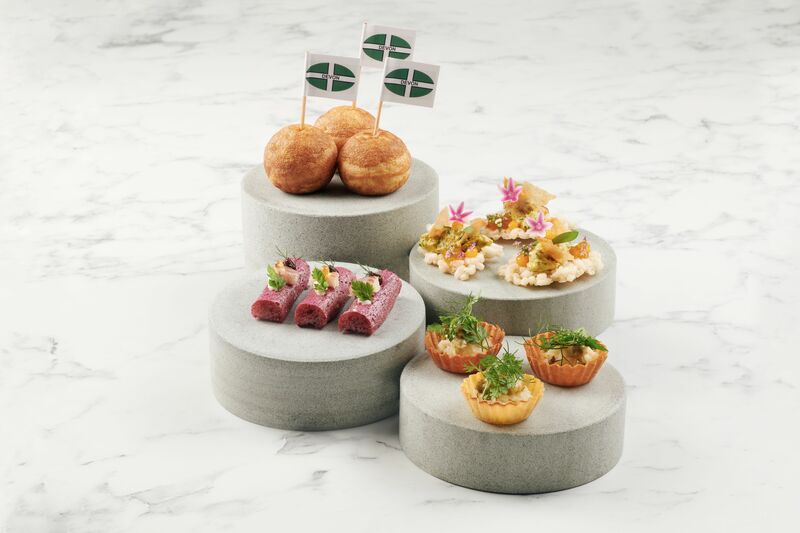 In addition to the Devon Cheddar Cheese Buckwheat Pancake that’s been a mainstay on the menu, Chef Westaway introduces a few more snacks that are quintessentially British. 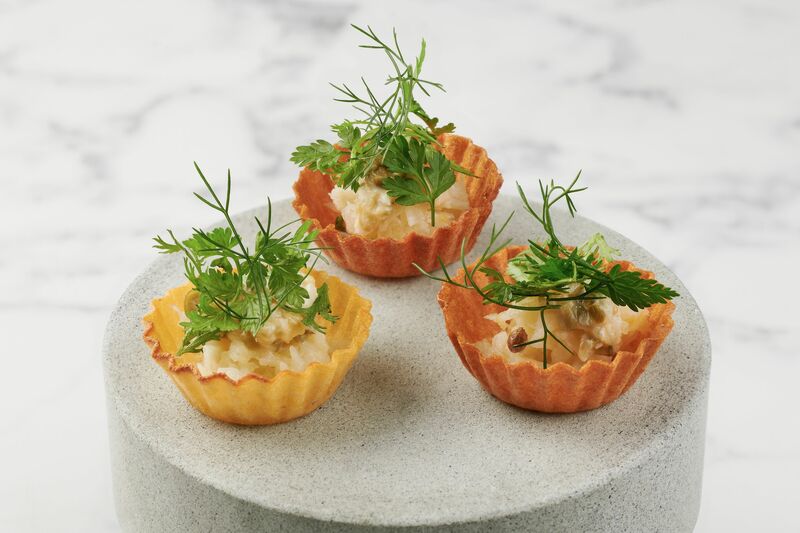 Take for example the Fish and Chips, which is transformed into a delicate mini tartlet. Here, Atlantic cod fish is cured in salt and fennel seeds for 48 hours and then poached in an aromatic milk. The tartlet is made from thinly sliced Australian potatoes baked to a crisp, and finally, a tartar sauce made with hardboiled egg mayonnaise. 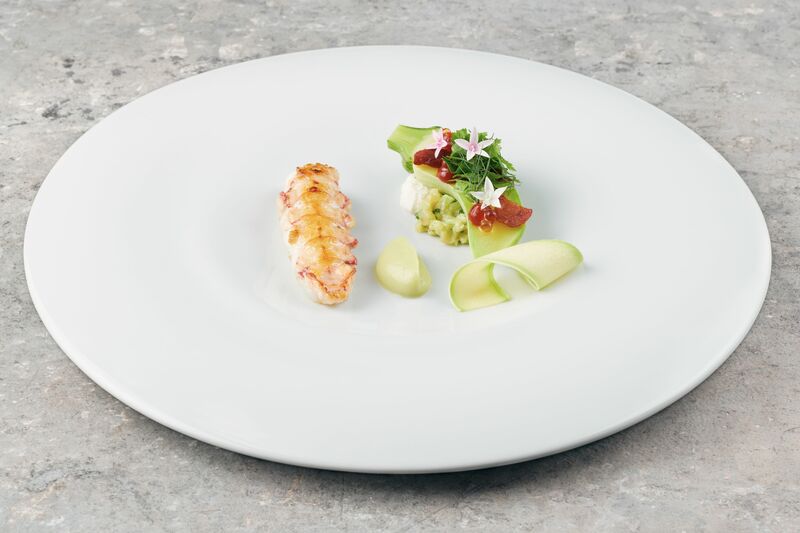 Meanwhile, the courses that follow rely a lot on the freshness of English ingredients, which include Irish oysters and Scottish langoustines. And in case it’s not obvious enough, nothing is more English than an English Garden, which makes its way on to a plate at JAAN. In this colorful dish, expect a combination of seasonal vegetables, black olive powder, and a piquant anchovy dressing. A playful element to the dish comes in the form of a mini watering can filled with a Scottish seaweed and herb broth, allowing diners to take part in the creation of the dish by watering the “garden” themselves. The best of kappo cuisine (a concept that’s more casual than kaiseki) in Singapore can be found at Kappo Shunsui, which is hidden behind a bronze sliding door that’s only accessible by a biometric scanner. No, the restaurant is not being elitist — it’s just a special touch that enhances a diner’s VIP treatment, especially if they’re frequent customers. For first time visitors, simply ring the doorbell to gain entry. Don’t forget to have your fingerprints registered for future visits. 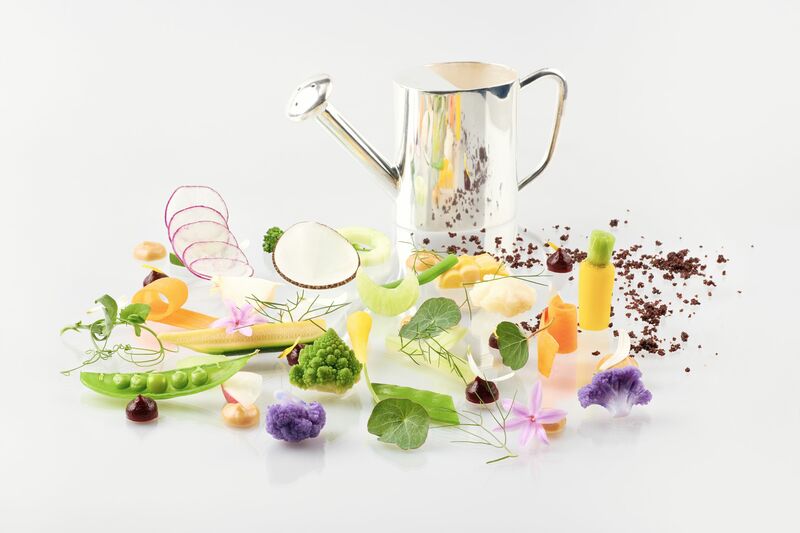 Once inside, the cozy 19-seater restaurant, which is helmed by Executive Chef Nishi Nobuhiro, takes you on a delicious journey through the season’s freshest produce. 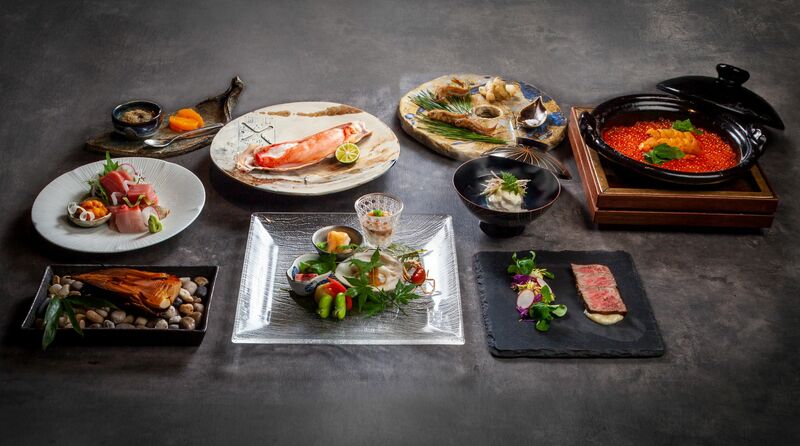 Everything here is flown from Japan, so expect only the best vegetables, seafood, and meats prepared and cooked in front of you. 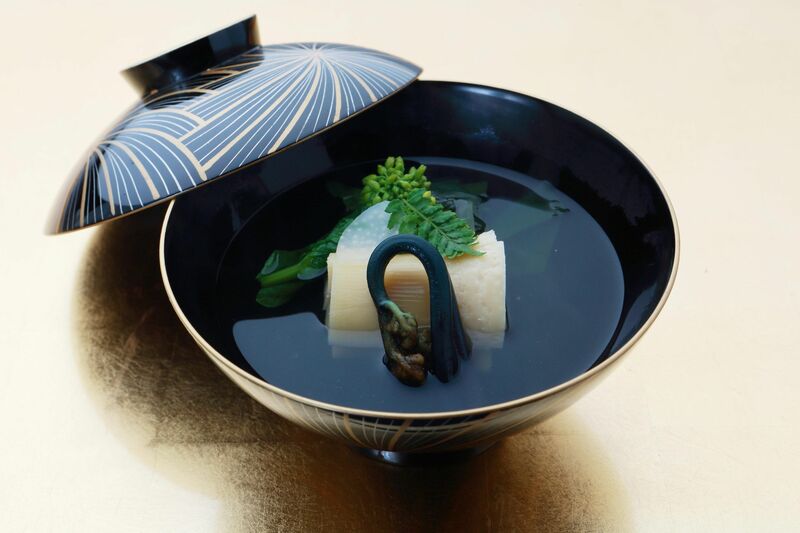 A staple at Kappo Shunsui is Owan, a dashi-based soup served with homemade shinjo (fish cake), which is composed of five different seasonal fish meats. For something more indulgent, the A4 Kagoshima Wagyu Claypot Rice will make your mouth water as Chef Nobuhiro blow torches the beef to perfect doneness. 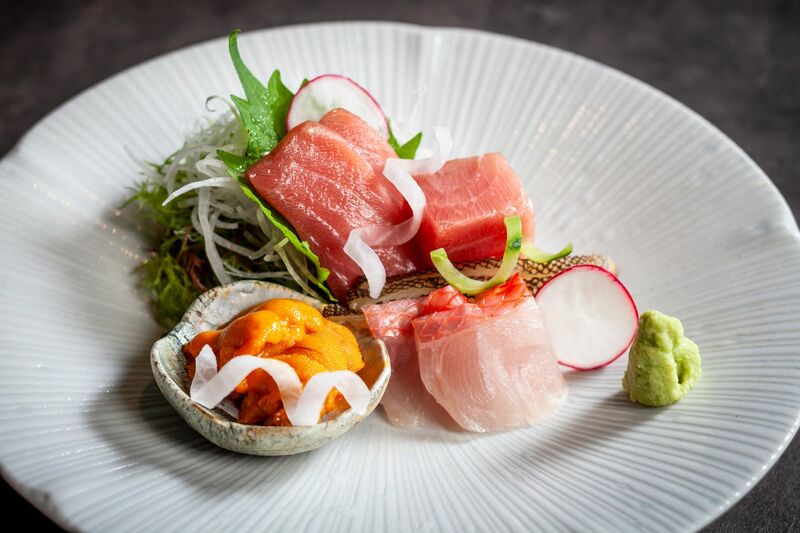 Bookended by these two dishes are an assortment of seasonal offerings, which include a parade of appetizers, various types of sashimi, as well as seasonal seafood specialties.